Friday, 20 April 2018 (PANCAP Coordinating Unit, CARICOM Secretariat): The Pan-Caribbean Partnership against HIV and AIDS (PANCAP), the mechanism that provides a structured and unified approach to the Caribbean’s response to the HIV epidemic, will present Reverend Dr Nigel Taylor, President of the Barbados Evangelical Association, with the Champions for Change Award during the PANCAP Faith Leaders Consultation at the L.V. Harcourt Lewis Auditorium “Melbourne” Barbados. Dr Taylor was recognized for his significant work and advocacy towards greater involvement of the faith community in national and regional HIV responses. Dr Taylor is the Minister in Charge of the Calvary Evangelical Church. He holds Doctoral Degrees in the disciplines of Theology and Psychology. 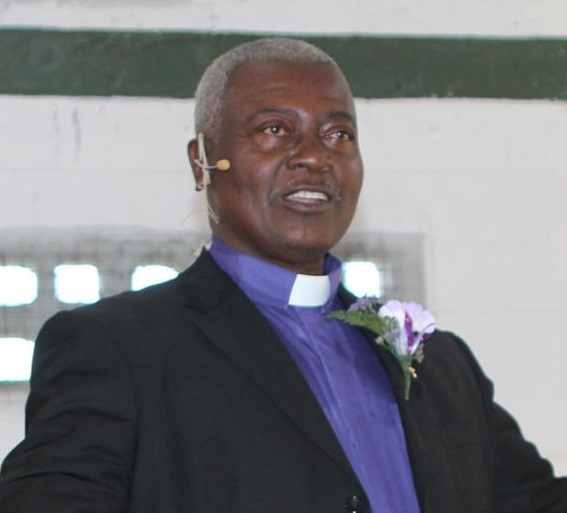 In addition to being the President of the Barbados Evangelical Association, he is the former Vice President of the Evangelical Association of the Caribbean. He served as Chairman of the National HIV/AIDS Commission of Barbados and engaged the denominations in the country to get involved in the HIV and AIDS response. Dr Taylor was also part of the Barbados Delegation to The UN General Assembly Special Session on HIV (UNGASS) and a Barbados’ representative to the 2012 AIDS Conference in Washington, D.C. The Director of PANCAP, Mr Dereck Springer, who highlighted the value that Dr Taylor has brought to the region’s HIV response, presented the award. “Faith Leaders have a tremendous influence in shaping positive attitudes towards People Living with and Affected by HIV”, stated the Director. Dr Taylor was officially named a PANCAP Champion for Change during the relaunch of the initiative (Champions for Change IV) on 12 September 2017 at the Guyana Marriott Hotel, Georgetown, Guyana, but was unable to attend due to prior commitments. The Director of PANCAP explained that the PANCAP Champions for Change “was conceived as a “brand” or approach for promoting the reduction of stigma and discrimination and was intended to complement other approaches. It was felt that given the sensitivities involved in stigma and discrimination, the use of “Champions” to advocate for a change in attitudes could have a positive impact”. The award presentation will be made during the Barbados chapter of the PANCAP Faith Leaders Consultation, which is a follow up to the national and regional consultations, which commenced in 2017, with a number of regional activities scheduled for 2018. The first Regional Faith Leaders Consultation held on February 1 and 2, 2017 in Port-of-Spain, Republic of Trinidad and Tobago, focused on the contributions of Faith Leaders toward ending the epidemic by 2030. It specifically addressed the recommendations from the UN High Level 2016 Political Declaration and agreed on strategies to promote healthy living for all age groups, addressed best practices, identified gaps to be filled, resources required and types of regional cooperation to be undertaken to implement recommendations from the consultation. The PANCAP special Conference of Faith Leaders in Guyana on November 2005 set the stage for institutionalizing faith-based organizations in the PANCAP structure and utilizing their contributions to shape the various iterations of the Caribbean Regional Strategic Framework (CRSF), the latest being 2014-2018. The CRSF is the basis for the guidelines of the PANCAP network for action and resource mobilization especially in the areas of treatment, prevention, stigma and discrimination. The 2017 Champions for Change include Guyana’s First Lady, Mrs Sandra Granger; the Executive Director of LIVE UP Dr. Allyson Leacock; Attorney-at-law Dr. Arif Bulkan; Canon of the Cathedral in the Diocese of Jamaica and the Cayman Islands, Canon Garth Minott, Member of Parliament (Guyana), Dr. Frank Anthony; the Chief Executive Officer of the Institute of Law and Economics (ILE), Jamaica, Dwayne Gutzmer; Founder and Managing Director of the Society Against Sexual Orientation Discrimination (SASOD) in Guyana, Joel Simpson; Executive Director of the Eastern Caribbean Alliance for Diversity and Equality (ECADE) Kenita Placide; Speaker of the National Assembly of Belize and Chairperson of the National AIDS Commission, Laura Tucker-Longworth; Chair of the Caribbean Forum for Liberation and Acceptance of Genders and Sexualities (CariFLAGS), Lucien Govaard; Guyana’s professional squash player, Nicolette Fernandes; President of the Barbados Evangelical Association, Dr Nigel Taylor; Director of the National HIV/AIDS and Infectious Disease Programme at the Bahamas Ministry of Health, Dr Nikkiah Forbes; Trinidad and Tobago Minister of Health, Terrence Deyalsingh; Operations Manager, Centro de Orientación e Investigación Integral (COIN), Vanessa Uziely Rosario Brito; Deputy Programme Manager within the Communications Unit at the CARICOM Secretariat, Volderine Hackett; and Senior Pastor of The Poonah Open Bible Miracle Centre (POBMC), Republic of Trinidad and Tobago, Rev. Winston Mansingh. What is the PANCAP Champions for Change Initiative? The Champions for Change Initiative seeks to address the issue of stigma and discrimination through key advocates who are leaders in their communities and willing to be forerunners of the effort to change attitudes. This Initiative has its genesis in the December 2003 Breakfast Meeting between the UK’s Prime Minister Mr. Tony Blair and Heads of Government of the Caribbean Community (CARICOM), and was based on the identification by The Hon. Dr. Denzil Douglas, Prime Minister of St. Kitts and Nevis and Chair of PANCAP, that the issue of stigma and discrimination was a major gap in the Region’s response to HIV and AIDS. Hence, the explicit recommendation from that meeting was that a joint UK/DFID-CARICOM/PANCAP Conference be held with a view to establishing a programme for reducing stigma and discrimination against People Living with HIV and AIDS.